I meant to post this several days ago, but the cold weather decided to bring along a sore throat, aches, headaches, and stuffiness with it. So four days later, I am just now getting this up. My grandmothers, henceforth known on this blog as Granny Cade and Grandmother Montague, are excellent cooks and bakers. Many of their recipes have been published in church cookbooks. I recently decided that it would be fun to make all of their recipes that I have access to in said cookbooks. 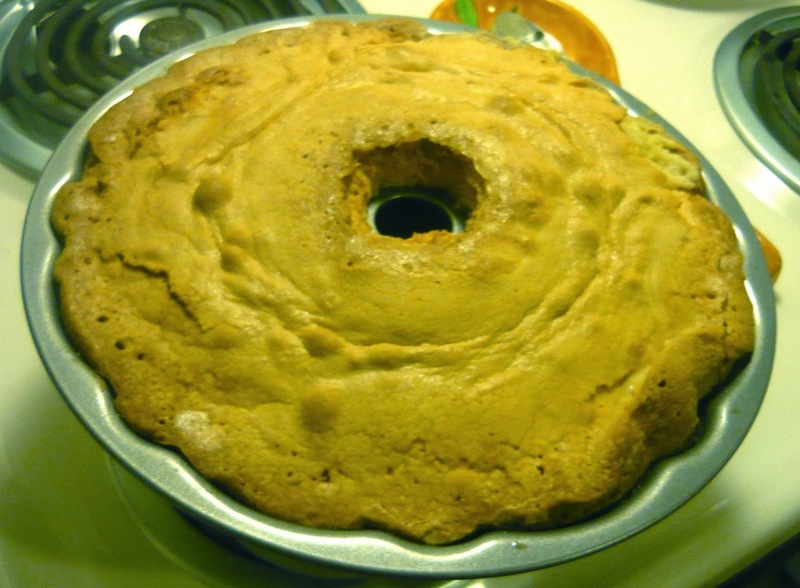 My first selection was Granny Cade’s buttermilk pound cake. 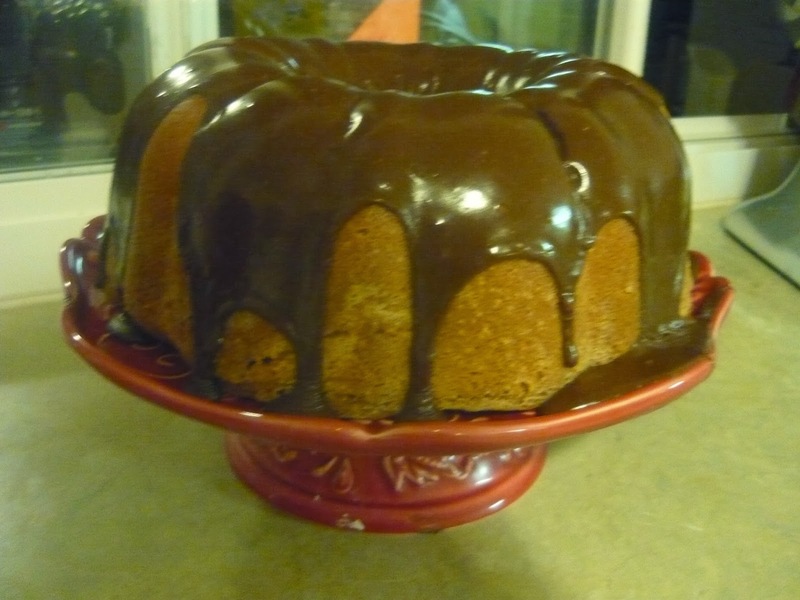 My in-laws gave me a bundt pan for Christmas and I have been itching to use it since then. I added Paula Deen’s chocolate ganache for Paul because he wanted some chocolate mixed in there. 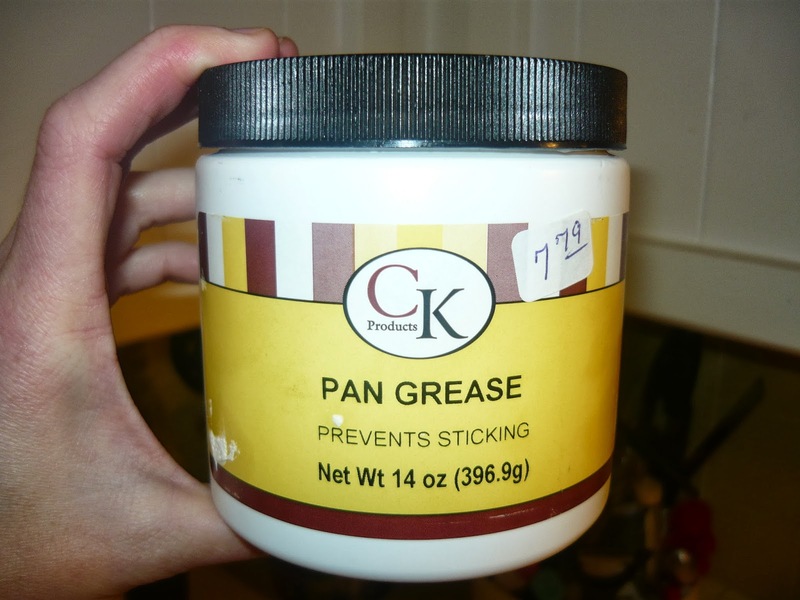 Start by greasing yo’ pan. I have been using pan grease for over a year and will absolutely never, ever go back to non-stick sprays. Every single cake I have make with this comes out of the pan almost effortlessly. And I have an issue with sticking cakes. I have many issues though but thanks to this wonderful product I now have one less. But enough about my issues. Let’s continue with the baking, shall we? Cream shortening, butter, and sugar until light and fluffy. Add eggs one at a time, beating thoroughly on lowest speed after each. 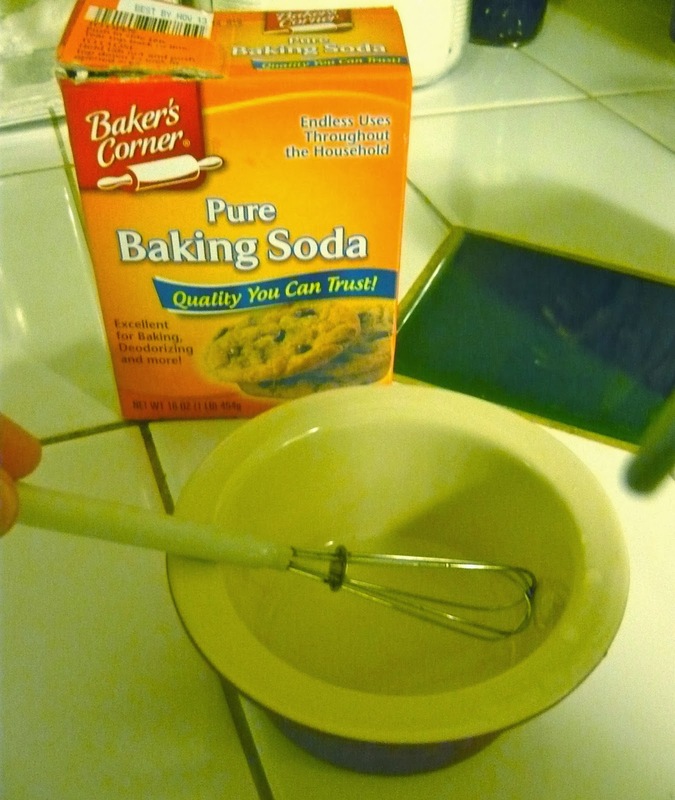 Dissolve baking soda in warm water. Add to buttermilk. I get so excited when recipes call for buttermilk because sometimes instead of “making” buttermilk I will actually buy it, which means I get to drink the unused milk. I know, most of you reading this might have to excuse yourself for a second as you lurch, but I just don’t care. I drink the stuff my the gallon, baby. 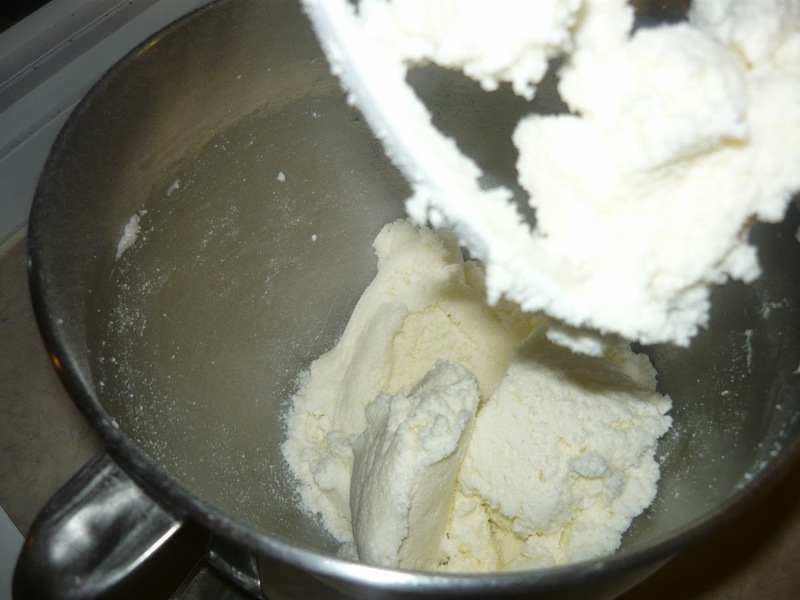 Add flour and buttermilk to creamed mixture alternately, beginning and ending with the flour. Beat well and add either almond or vanilla flavoring. The recipe calls for almond, but I ain’t got none of that so I just used vanilla. 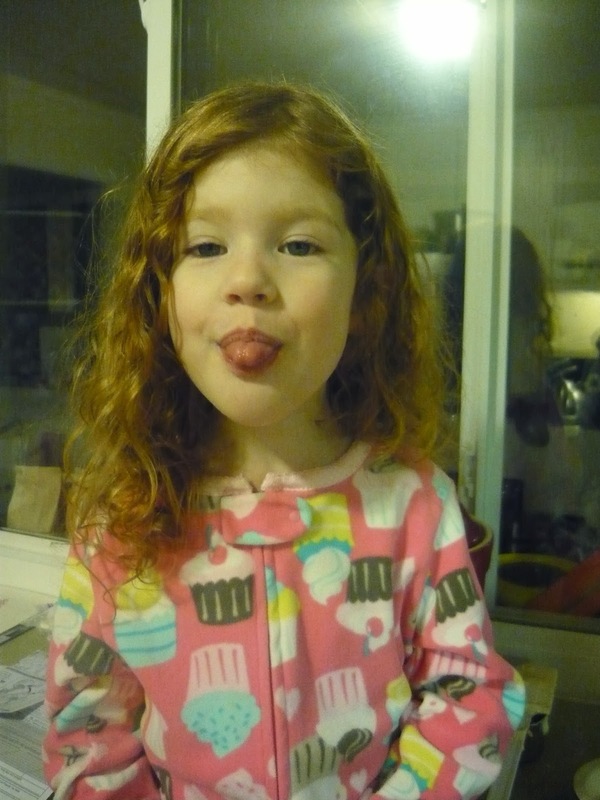 Ask your helper to smile for the camera and watch as she proceeds to make lots of funny faces. Pour batter into pan and bake at 325 degrees for 1 hour and 15 minutes, or until a cake tester comes out clean. Hmmmm…pound cake. 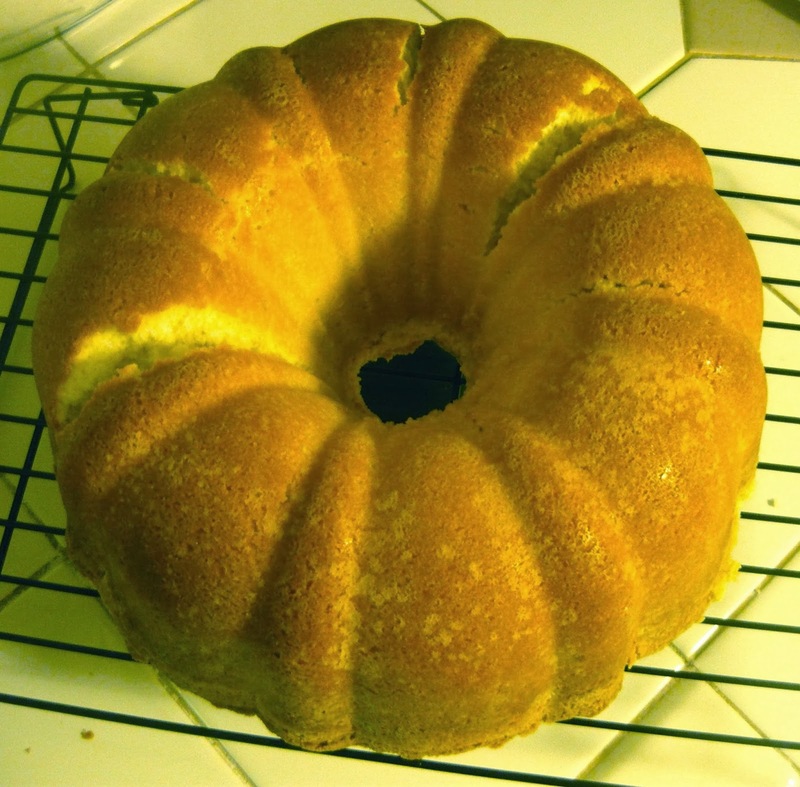 I like my pound cake to be slightly crusty on the top, which will soon become the bottom. Let cake sit in pan for about 10 minutes. Or you can be like be, immediately flip it out because you just can’t wait for a slice. Beware, a lack of patience and gluttony will make your cake crack. 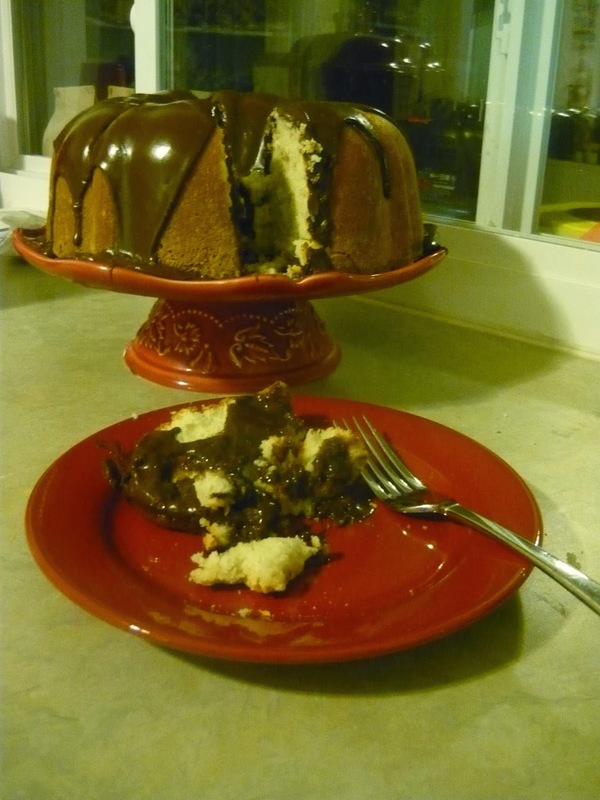 Put your hopefully un-cracked cake to the side and get yo’self a microwave safe bowl to make the ganache. 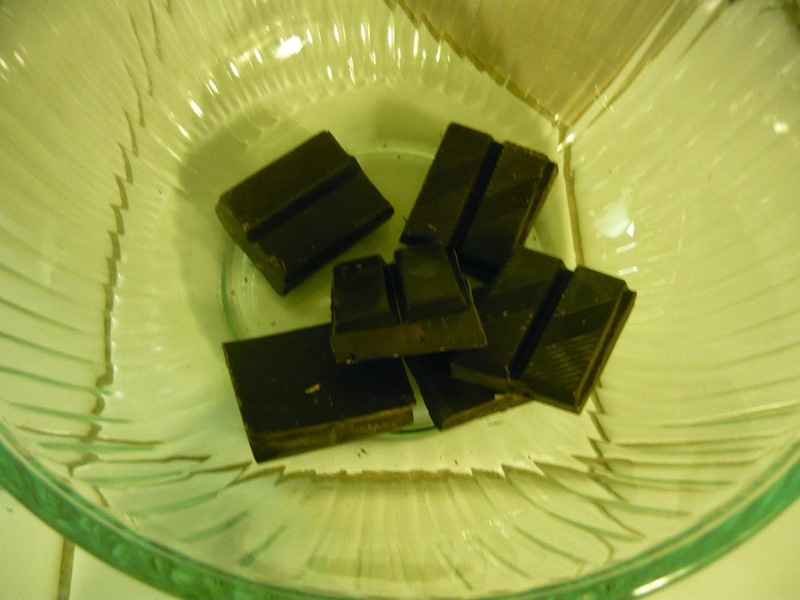 Put six 1 ounce squares of semisweet chocolate in your bowl. Add some heavy whipping cream. 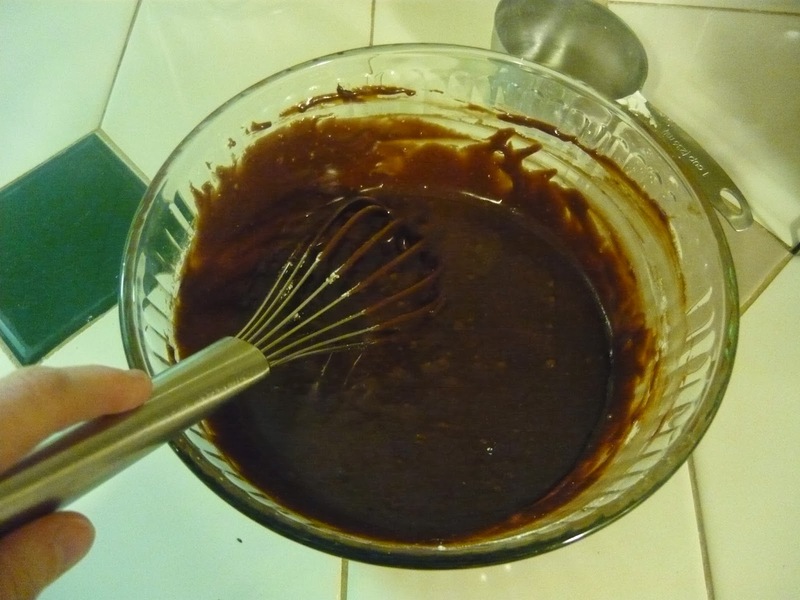 Microwave on High in 30-second intervals, stirring between each, until chocolate is melted and smooth. 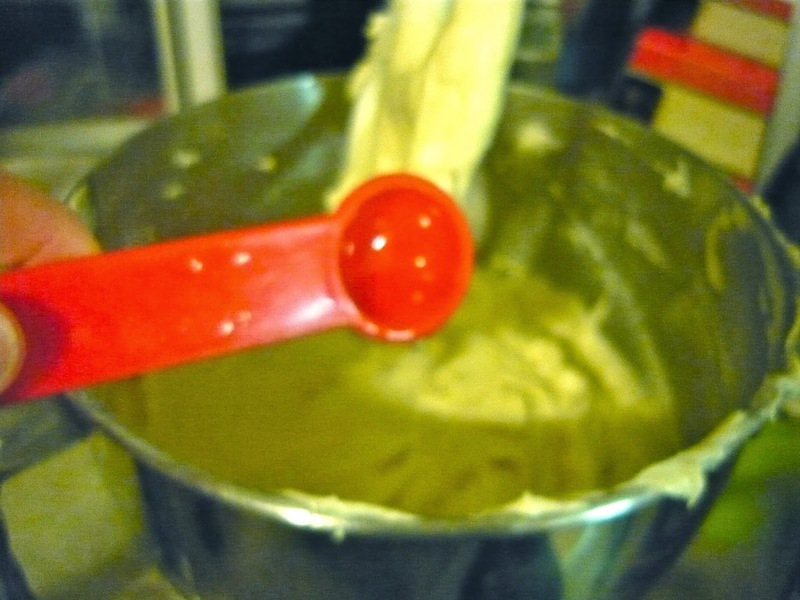 Gradually whisk confectioners’ sugar until smooth. Pour over cake. My heart just stopped for a second. Slice you up some. Again, being impatient, I sliced me up a piece as soon as I finished pouring the chocolate on top. The result was a not so attractive slice of cake that tasted so good I could have eaten the entire thing without thinking twice about it. Moral of the story, who cares if the cake is cracked as long as it tastes good. Here’s the recipe with measurements and all. Preheat oven to 325 degrees. Flour or spray a bundt pan or a couple of loaf pans. Cream shortening, butter and sugar until light and fluffy. Add eggs, one at a time, beating thoroughly on low after each. Dissolve soda in the warm water and add to buttermilk. 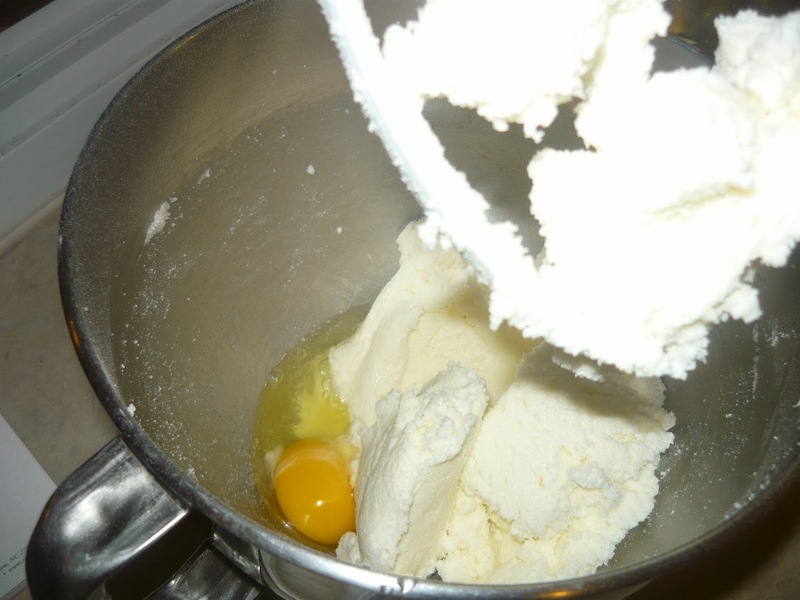 Add flour and buttermilk to creamed mixture alternately, beginning and ending with flour. Beat well and add flavoring. Pour batter into prepared pan(s) and bake for 1 hour and 15 minutes, or until cake tester comes out clean. Top should be golden and crusty. In a medium bowl, combine chocolate and cream. 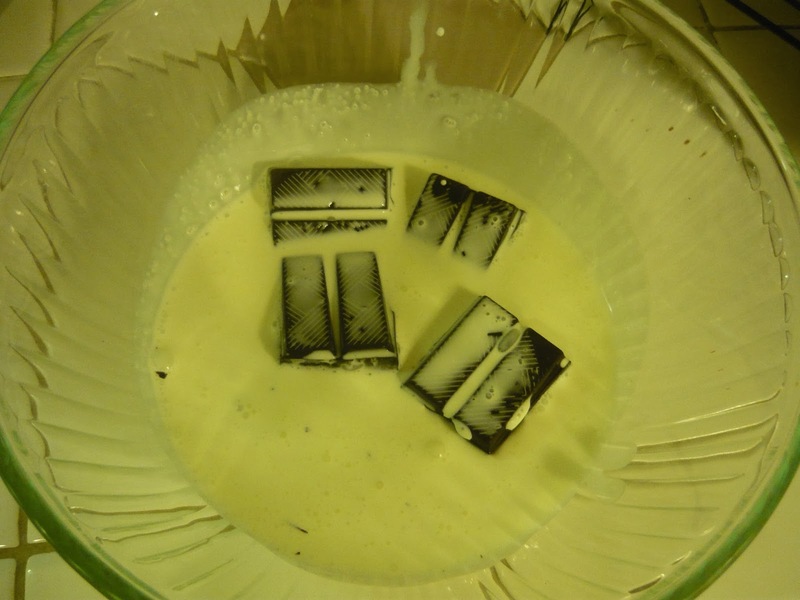 Microwave on High in 30-second intervals, stirring between each, until chocolate is melted and smooth. Gradually whisk in confectioners’ sugar until smooth. Let mixture cool a few minutes until slightly thickened. Drizzle over cake.